Unique “Air Sweep” Nozzle pushes water from the coat. 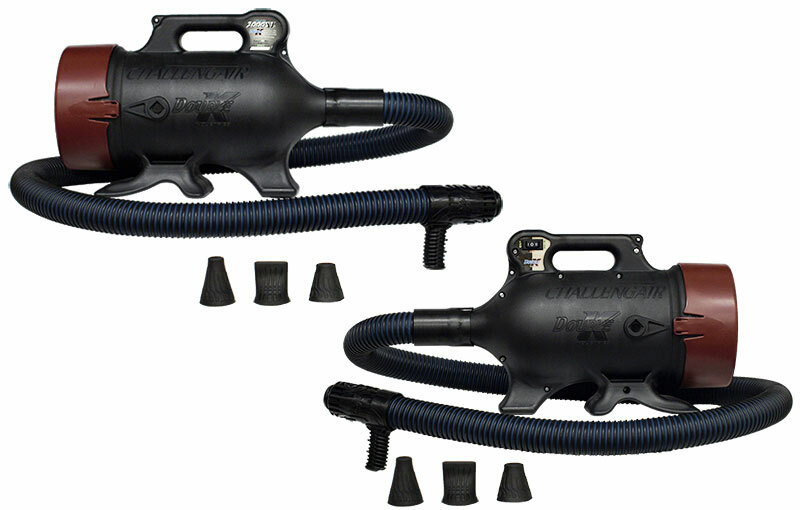 Airgonomic™ Nozzle System has nozzle tips that securely snap‑on to nozzle. The Airgonomic™ nozzle and tips are designed for easy switching with cool‑to‑the‑touch design. All nozzles are covered by the limited two year warranty. Included are 6 versatile attachments for any drying need. Comes with the unique “air sweep nozzle” for pushing water from the animal's coat. 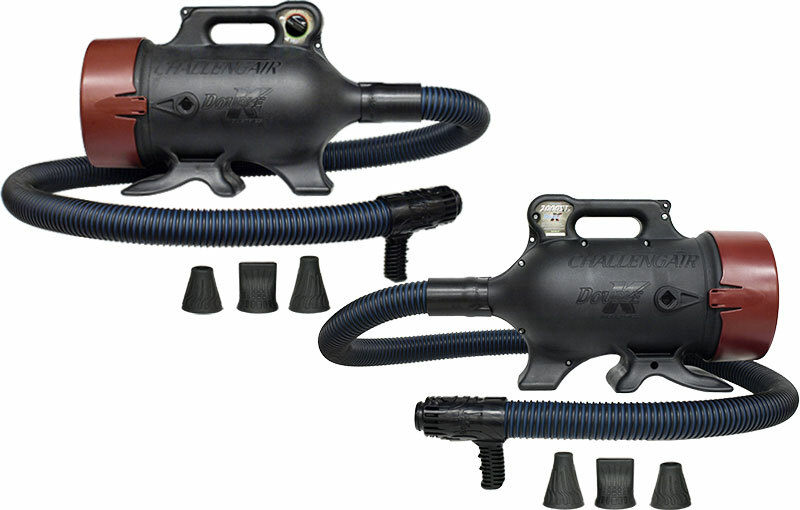 Less noise - the Challengair™ 2000XL™ is built with polyethylene housing making it significantly quieter than other forced air dryers built with aluminum or metal housings. The dryer is also designed so the motor is acoustically isolated from the housing with “iso‑dampeners” mounted between the motor and housing. Double K Industries is proud to present a Variable Speed air control. 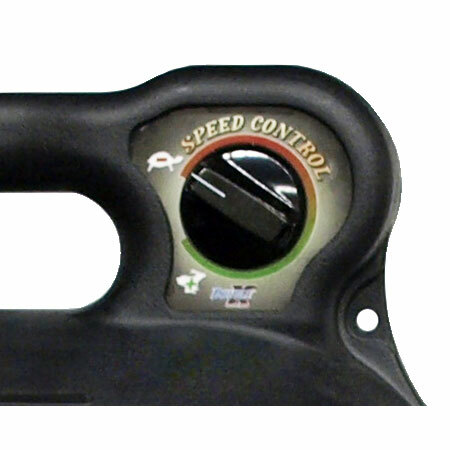 This allows for complete control of the air volume and velocity: You get full high speed down to a very low speed, and everything in between. The dial control means more flexibility in grooming with the ability to cater the air flow to the animal and your grooming needs. Choose full power for large full coated animals, moderate speeds for ears and drying sensitive areas or medium coated breeds and low air volume for small animals, cats or young/sensitive animals. Available in 115 volt. 230 volt coming soon. Available in 115 and 230 volt models.